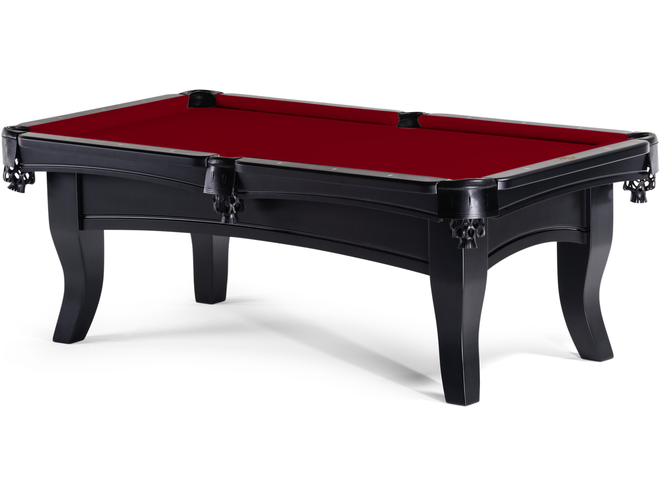 The Manhattan table has a Satin black finish over the all hardwood construction. 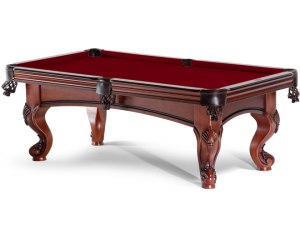 The tapered solid legs give this model a progressive look that matches many modern home styles. Genuine leather pockets and double diamond site’s make the Manhattan one of the best values in the industry.